This protective cover made of durable synthetic material protects from moisture, dust, and dirt. The cover for table tennis boards protects table tennis tables from dust, dirt, and humidity. You can use the cover for indoor or outdoor tables. By means of the cover, you prolong the lifespan of your table tennis table. The Kettler table tennis cover Universal is made of very hard-wearing synthetic tissue providing a long durability. Good size, easy to fit in, secured by a strap bellow the table. 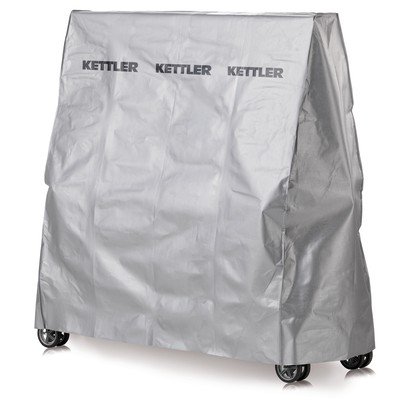 Protective cover from Kettler is very light and durable and it is worth that price. If you have expensive table tennis table, it is a must option to buy.